With Grey Cup week in Edmonton officially underway, many fans and observers of the CFL will be getting nostalgic as we get closer to Sunday’s kickoff between the Calgary Stampeders and Ottawa Redblacks. 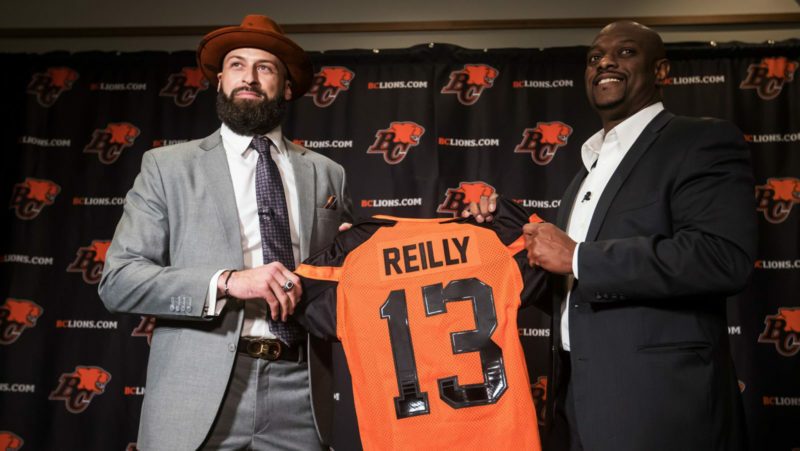 For the BC Lions, preparations for 2019 and a possible return to the big game are already underway. 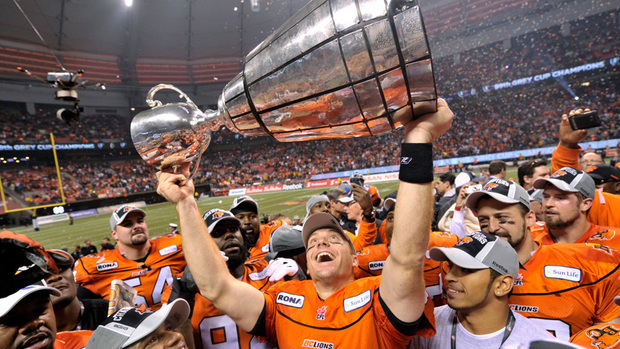 For now, we take a look back at the six Grey Cup wins in Lions history and how they came to be. Backdrop: It was a rematch of the 1963 championship, a 21-10 Hamilton victory in front of the Lions’ hometown fans at Empire Stadium. That rough affair was best-remembered for Angelo Mosca’s controversial hit on Willie Fleming that knocked the star running back out of the game and led to a lengthy rivalry between members of the two teams. Of course, who can forget Mosca’s ‘reunion’ with Joe Kapp nearly five decades later? Summary: Kapp only completed ten passes for 121 yards, but was backed by a solid running game and clutch defence. Fleming would exact some revenge by scoring one touchdown. 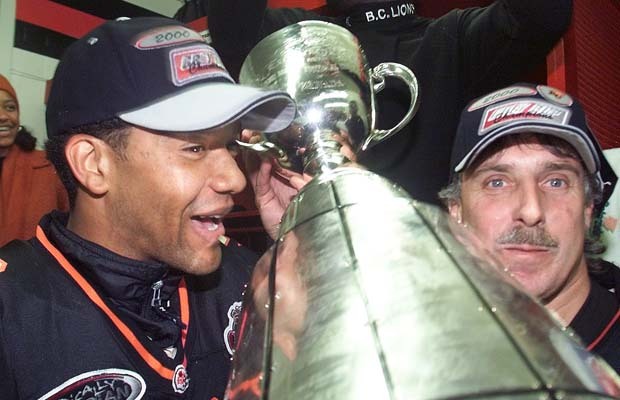 Bill Munsey added majors on both offence and defence as the Lions built a 34-8 lead through three quarters and cruised to the first Grey Cup title in franchise history. This remains the only time in Lions franchise history where they appeared in back to back Grey Cup games. *** Grey Cup MVP awards were not handed out between 1963 and 1967. Backdrop: Don Matthews brought the franchise back to prominence and got them close to the top in both 1983 and 1984. The first year resulted in a heartbreaking 18-17 loss to Toronto in the Grey Cup at BC Place, while they hit a speed bump in the Western Final against Winnipeg in ’84. After finishing atop the West and dismantling Winnipeg in the West Final, they headed to Montreal for a Grey Cup matchup with their old rivals from the 60s. Summary: Roy Dewalt threw touchdown passes of 84, 66 and 59 yards for a potent Lions offence. Two of those were caught by Ned Armour. Lui Passaglia kicked five field goals and also read what would have been a clear punt block by the Ticats’ Grover Covington before scrambling to extend an important drive on third down. Passaglia’s heads-up play lead to Armour’s second touchdown catch and they never looked back. James ‘Quick’ Parker made his presence felt on defence, forcing a Hamilton punt that led to an important field goal before halftime. Backdrop: Everyone remembers what the Lions overcame in the early 1990s. From losing Doug Flutie to financial turmoil that led many to believe the franchise could be in jeopardy, head coach Dave Ritchie turned them around on the field. After an 11-6-1 regular season and dramatic road playoff victories in Edmonton and Calgary, the stage was set the first ever international Grey Cup. 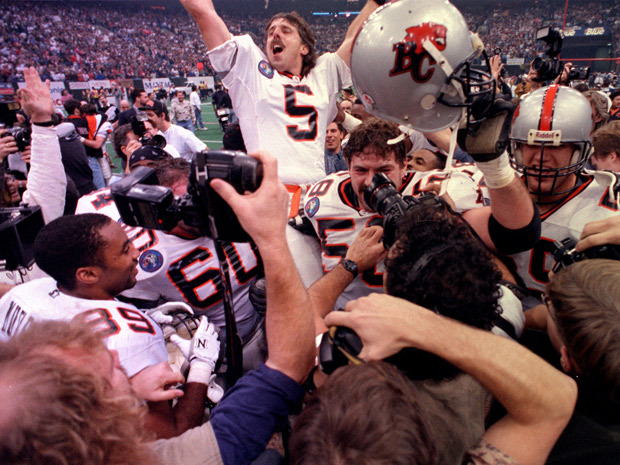 Over 55,000 fans witnessed the instant classic it at BC Place. Summary: Baltimore’s big second quarter (17 points) would have been more damaging if not for a 17-yard interception return touchdown by Charles Gordon got the Lions to within seven points at halftime. A fake field goal executed by Darren Flutie led to a Danny McManus one-yard touchdown plunge and a 20-20 tie heading to the fourth quarter. After missing a potential go-ahead field goal with 1:02 remaining, the defence kept Tracy Ham and company pinned deep and allowed Passaglia to be the hero with no time on the clock. 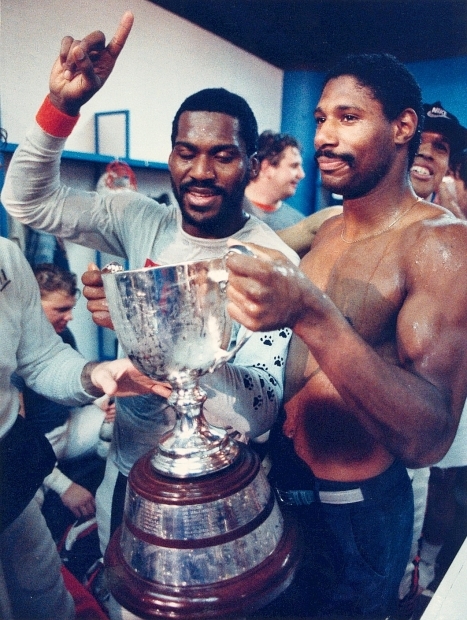 This was the first time a team won the Grey Cup in its home stadium since the Montreal Alouettes in 1977. 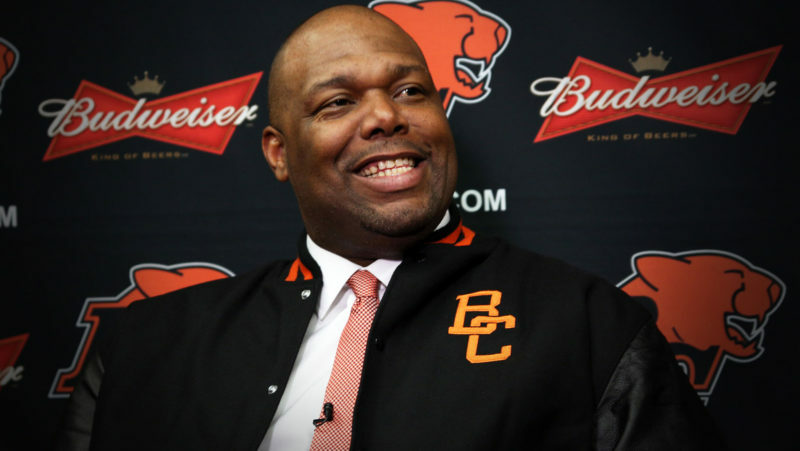 Backdrop: It was a similar path taken by the 1994 champs, only with an 8-10 record they became the first sub .500 team to ever sip from the Grey Cup. With Passaglia announcing the 2000 season would be his last, the group coached by Steve Burrato rallied for their ageless leader and squeaked out a two-point win at Edmonton in the division semi-final before suffocating the league-best Stampeders 37-23 to spoil Calgary’s home Grey Cup plans. It was the exact same scenario from 1999 when the Stampeders won the Western Final at BC Place, denying the Lions a chance for a second home Grey Cup in six seasons. Summary: Led by veteran quarterback Damon Allen and a two-headed backfield monster of Sean Millington and Robert Drummond, the Cinderella story of 2000 was completed with a two-point victory over heavily-favoured Montreal. Allen rushed for two touchdowns, while Drummond’s 44-yard scamper early in the fourth quarter forced Calvillo and the Alouettes to play comeback. And they almost did. After Calvillo hit Ben Cahoon for a 59-yard major in the final minute, his two-point convert attempt sailed incomplete and the Lions escaped for their fourth title in club history. Passaglia recovered from two early misses to kick the eventual winning points with 1:25 to play. Most impressive nugget of this 2000 run? The Lions never trailed for a second in any of their three playoff games. Backdrop: Much like the 1985 Grey Cup-winning squad, this group had something to prove after falling short in the 2004 championship and losing the 2005 Western Final at home. After a 13-5 regular season and third straight first place finish, Dave Dickenson, Geroy Simon and company throttled Saskatchewan 45-18 to set up a 2000 rematch with Calvillo and the Alouettes who had lost the 2005 Grey Cup to Edmonton at BC Place. Summary: Paul McCallum kicked six field goals to tie a Grey Cup record and Ian Smart’s 25-yard touchdown run would be their only major of the game and helped build a 19-3 halftime lead before Calvillo went to work. In what will go down as one of the most iconic defensive plays in franchise history, linebacker Javier Glatt dove over Montreal goal line and forced a Robert Edwards fumble to preserve a 13-point lead with 4:06 to play. The post-game highlights included offensive lineman Kelly Bates accidentally snapping the top off of the trophy during celebrations. Backdrop: Expectations of playing in the big game at a renovated BC Place were temporarily squashed after a 0-5 start to 2011. The addition of Arland Bruce in August gave a young Travis Lulay an extra weapon for the offence. The result was a historic second half turnaround and first place in the highly-competitive West Division. They would take down Edmonton 40-23 to set up a 99th Grey Cup at home to the Winnipeg Blue Bombers. 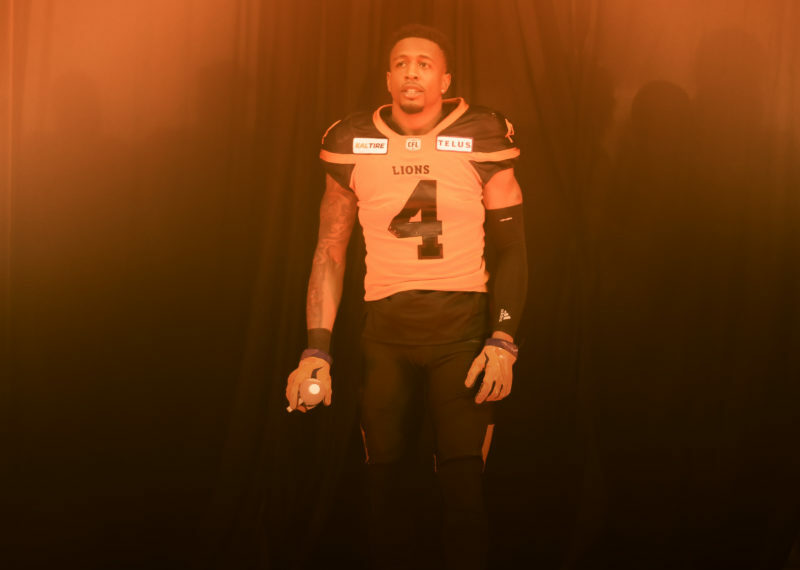 Summary: Andrew Harris opened the scoring with a 19-yard touchdown run and the defence held former teammate Buck Pierce at bay for most of the night. Lulay’s fourth quarter touchdown strike to Bruce put the game away. Capping off his first full season as a starter in style, Lulay passed for 320 yards, two majors and no interceptions to help them lift Earl Grey’s trophy for the sixth and most recent time. This year’s Grey Cup clash between Calgary and Ottawa has no shortage of storylines. Chief among them is the Stampeders looking to avoid being the first team to lose the big game three years in a row since the Montreal Alouettes from 1954-56. We do not think this year’s Stamps will make modern history for the wrong reasons. Although a breakout season for Trevor Harris and strong running game backed by William Powell could make things interesting, we think the Stamps’ toughness on the defensive front will ultimately be the difference. You saw in the Western Final how the likes of Micah Johnson, Cordaro Law and Ja’Gared Davis caused fits for Matt Nichols and helped set up the first Calgary scoring drive after a rusty opening quarter. Bo Levi Mitchell will not be counted on to play a perfect game and that gives Calgary the edge on Sunday.